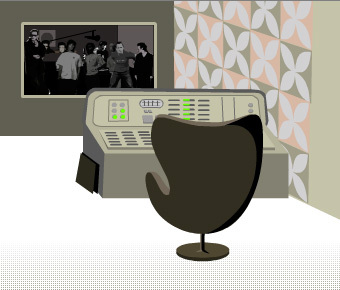 Check out Kruder & Dorfmeister’s new website! The Cinematic Orchestra announce first studio album for 12 years “To Believe“ out 15 March on Ninja Tune. Gregory Porter’s new live album and DVD is out now! New Compilation by Nicola Conte out now! New Album Timo Lassy Moves! Timo’s new album ‚Moves‘ out now! LET YOUR LIGHT SHINE ON out May 18th on MPS! Electric Chair agency is taking care of bookings for Gregory Porter (Germany, Austria & Portugal), Nicola Conte (worldwide incl. management), Timo Lassy (worldwide excl. Finland), Magnus Lindgren (Germany), Raul Midón (Germany Austria & Portugal), Logan Richardson (worldwide) as well as for Tosca (worldwide incl. management), Richard Dorfmeister from Kruder &Dorfmeister (worldwide incl. Management), Philippe Cohen Solal from Gotan Project (worldwide), Ursula Rucker (worldwide), Little Dragon (Germany), Lamb (Germany) and Cinematic Orchestra (Germany) among others – see artist side. Established in 1989 and being active in the wide world of jazz and electronic music, we approach the genre with open ears and minds. 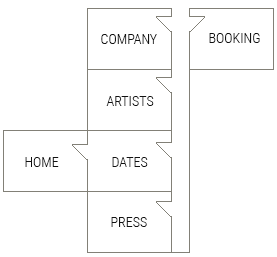 Apart from working with a profound artist roster we also provide the full service for a complete tour production: starting with pre-production, handling marketing as well as promotion and taking care of all details from on-stage acting to off-stage relaxing. So we may be an agency in the classic sense of the word. But as we think music is not simply about notes and phrases, evolves with the times and basically is about emotion and communication we are active in all aspects of our business: booking, managing, marketing and consulting. So join us on the never-ending search for the good groove, have a browse through the biographies of our artists, check the tour dates and see us soon in a venue near you.